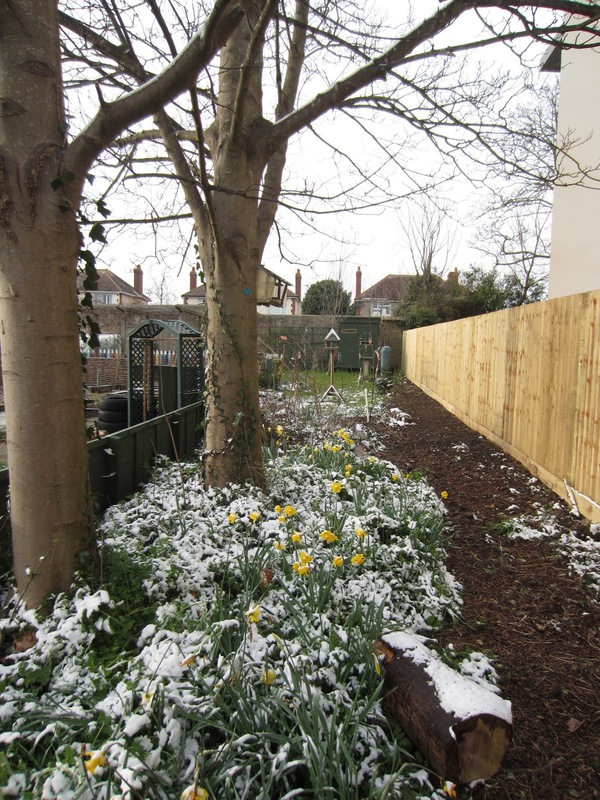 Holy Trinity Primary School Environmental Garden: Can Spring be far behind? We recently quoted this line from 'Ode to the West Wind' by Shelley and it appears from today's weather that perhaps Spring is still a long way off! 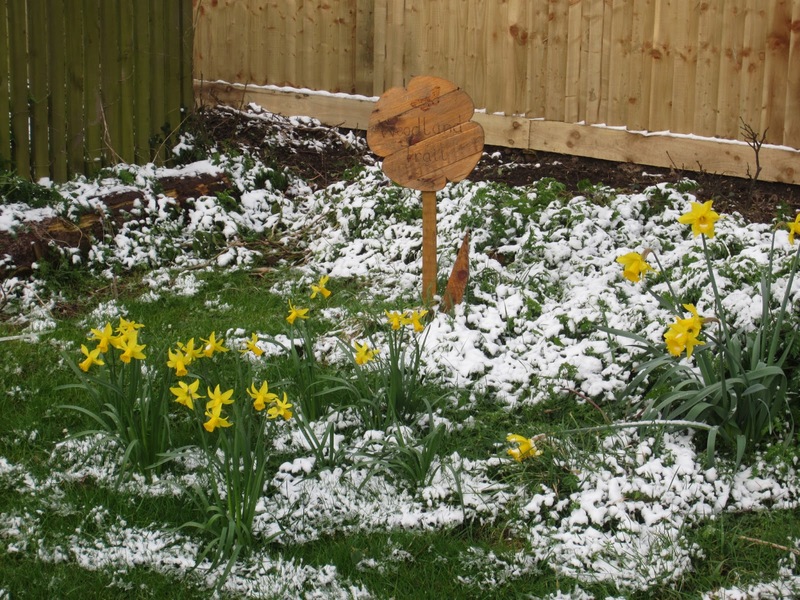 The daffodils and crocuses which have been in flower for a couple of weeks now and the frog spawn which appeared in the pond yesterday seems to have given us a false sense that the arrival of Spring was imminent. This morning Weymouth awoke to an icy blast and a sprinkling of snow. A visit to the school weather station late afternoon today revealed that at 14.00hrs this afternoon the wind chill was -8.2C. The outside temperature struggled to rise just above freezing point after lunch.The strongest wind gust at the School garden today was 23mph although it seemed much stronger than that. 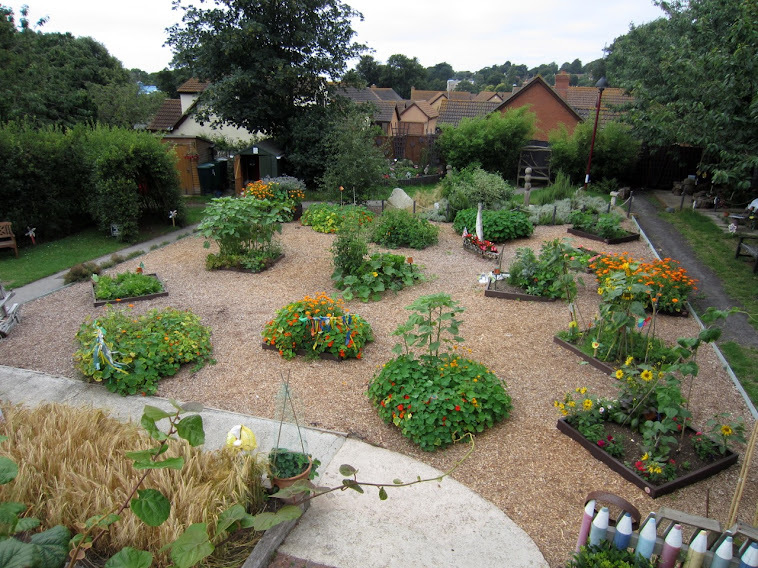 The garden has a degree of shelter unlike the beach and coastal areas around it. 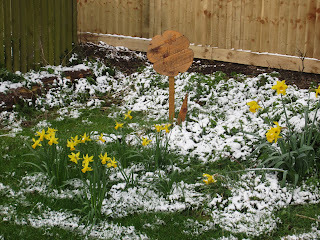 Snow in March is unusual but not unknown. Possibly the last snow in the town in March was in 2009. 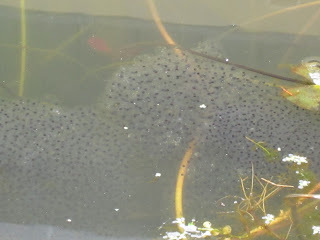 The frog spawn in the pond survives. The water was not frozen this afternoon but not far off it! There are two white buckets of frog spawn under the roof of the pond dipping platform for examination if teachers wish to show the children. A very big 'thank you' !